Happy Monday! Hope you are settled in and snuggly warm. I checked the weather when I woke up and saw it was a balmy 6° out. At least I didn’t need to pack my yogurt with an ice pack to keep it cold. Thanks Mother Nature! Anyway, this weekend was very productive. I cleaned my apartment, cleaned out random bags of stuff, sorted laundry and ended my weekend as most New Yorkers did, by watching the Steelers win. But, I digress. As any sports fan knows, all sports are better with snacks. 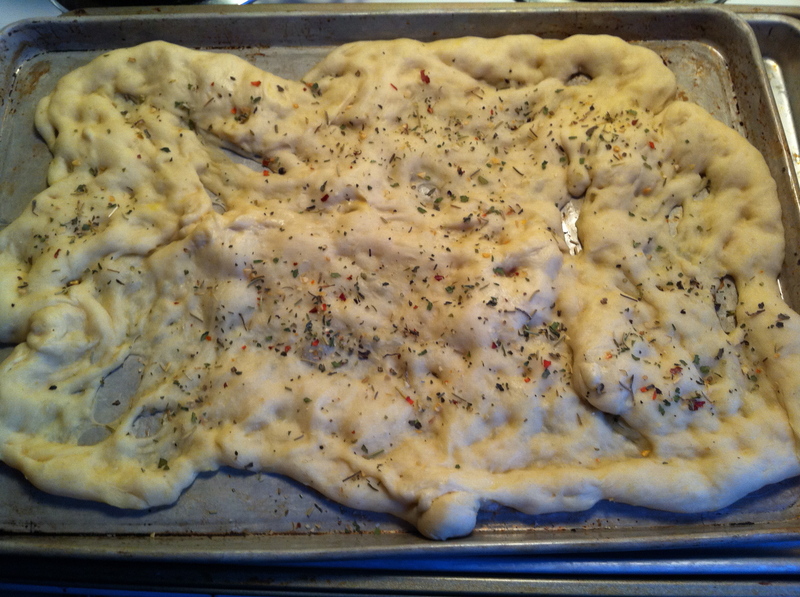 So because it was Sunday and I had time and I was being lenient with my diet I made focaccia. It came out good. Fluffy, crunchy and flavorful thanks to this robust homegrown Italian herb blend my aunt gave me. 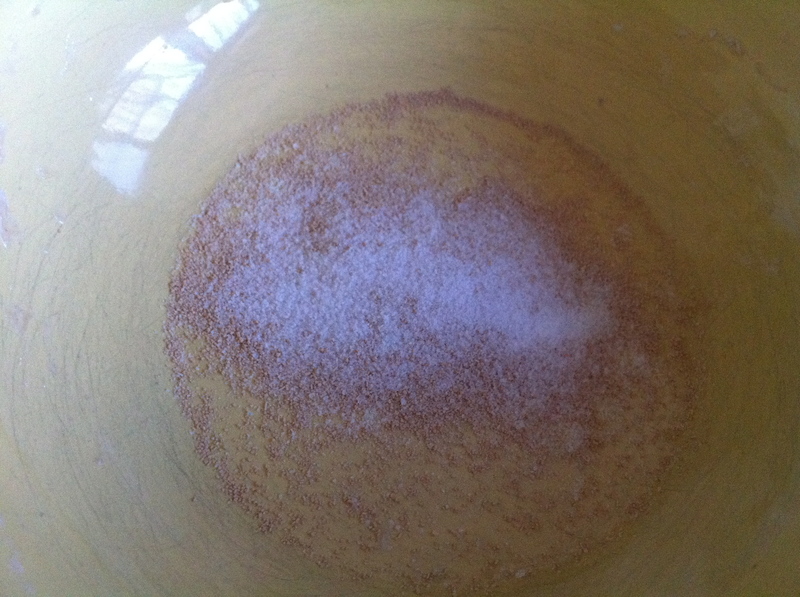 First, add 1 packet yeast to a bowl with 1 tsp sugar and 1/3 c warm water (I used water from the tea kettle that was sitting for a bit). Let stand on the counter for 10-12 minutes until the yeast “blooms” or grows. 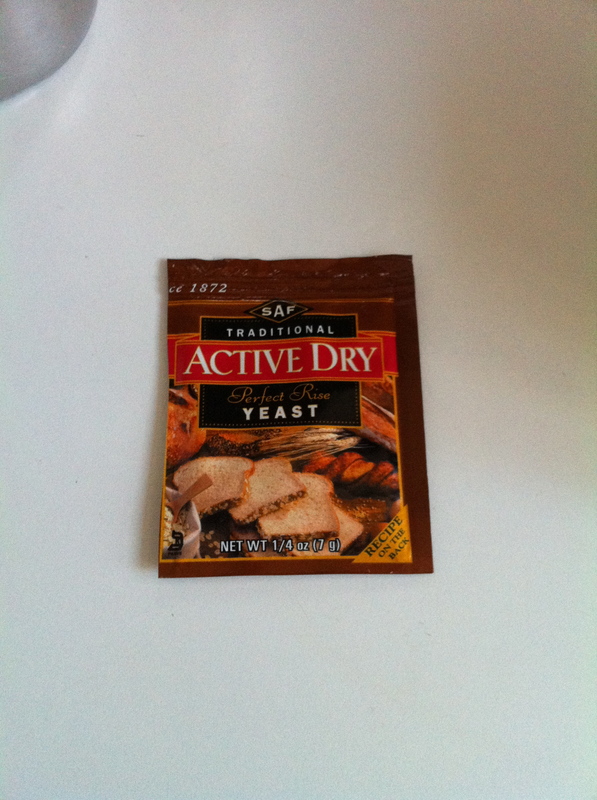 This is how you know if your yeast is active. 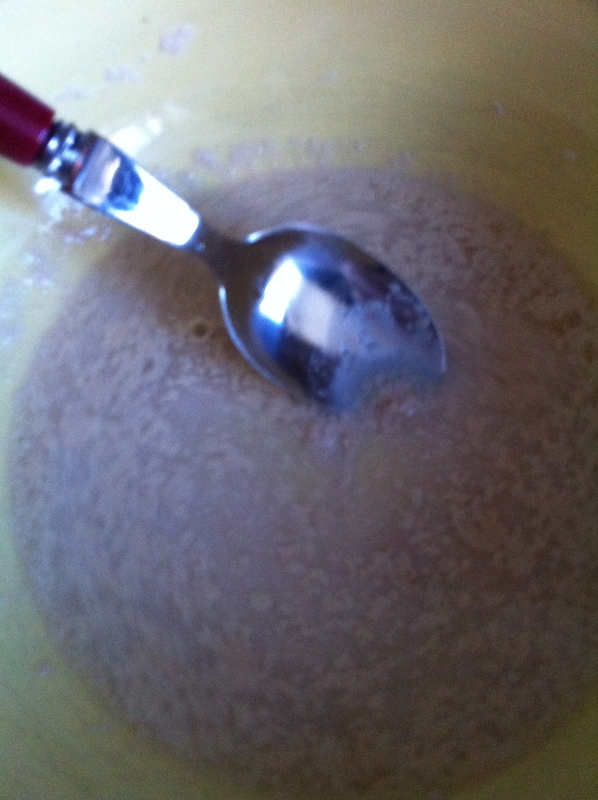 To the yeast add 2 1/2 c flour, 1-2 tsp salt* and mix (I used a spoon). 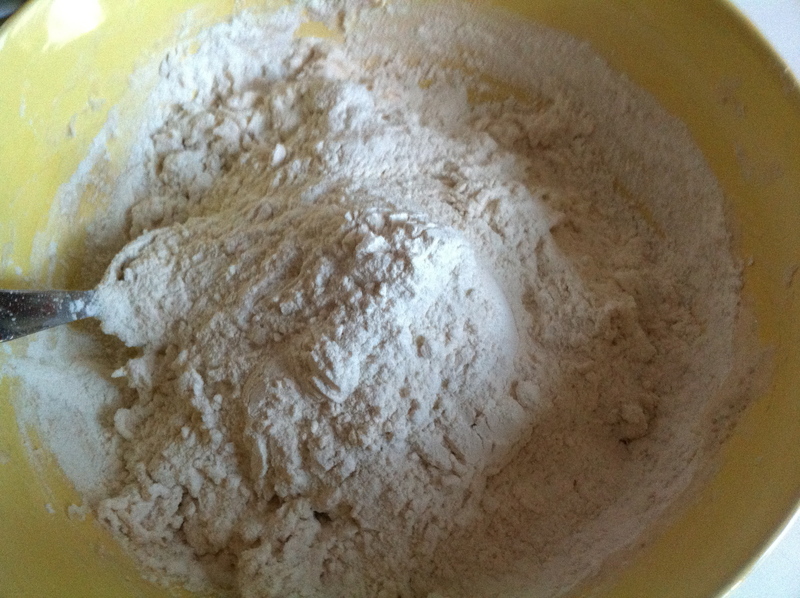 Start dribbling in 12-15 tablespoons of COLD water until the dough just pulls together. Depending on weather and the atmosphere in your kitchen, you may use more or less water. *Never add the salt with the yeast initially because it will kill it, whereas the sugar helps to feed the yeast. It will be very sticky (this is a good thing!) and still crumbly. 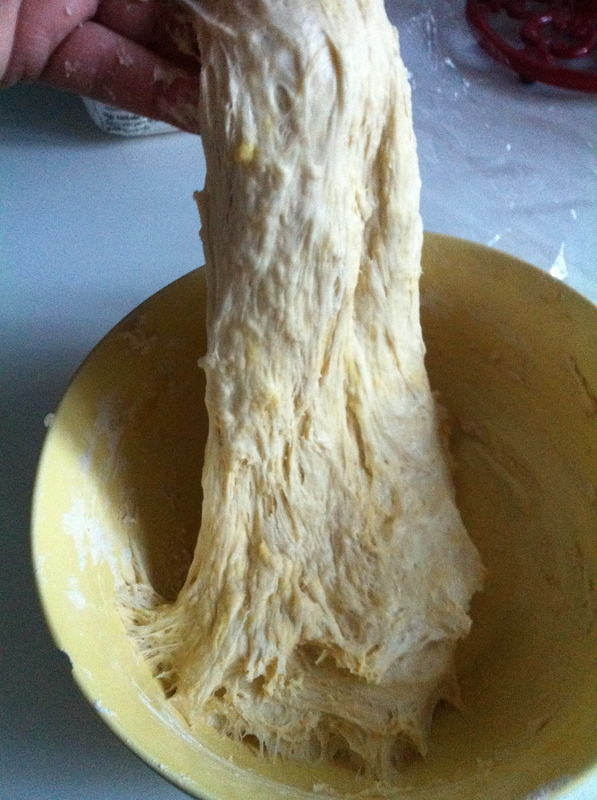 Turn out onto the counter or a board and start to fold the ingredients together until they make a smooth dough. 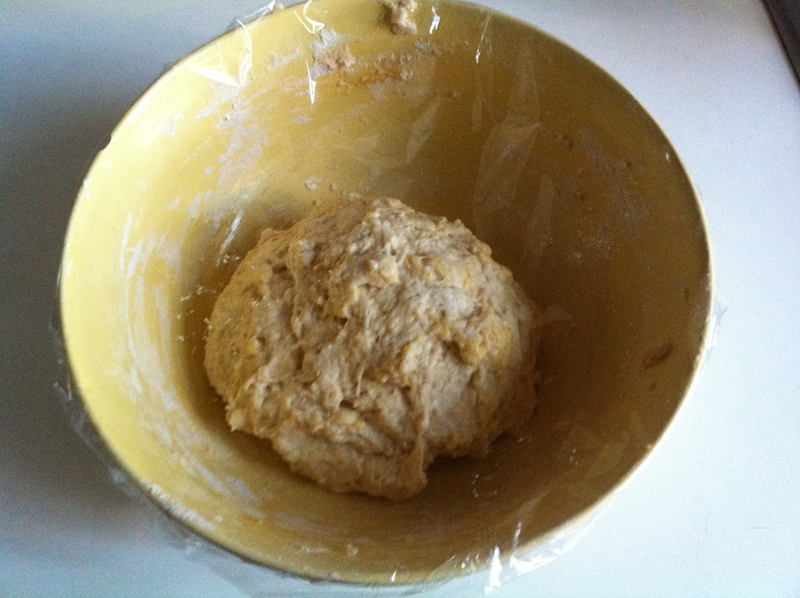 Once the dough is smooth and you have kneaded for 2-3 minutes place into a bowl to proof (rise). To save on dishes I just used the same bowl I started the process in. 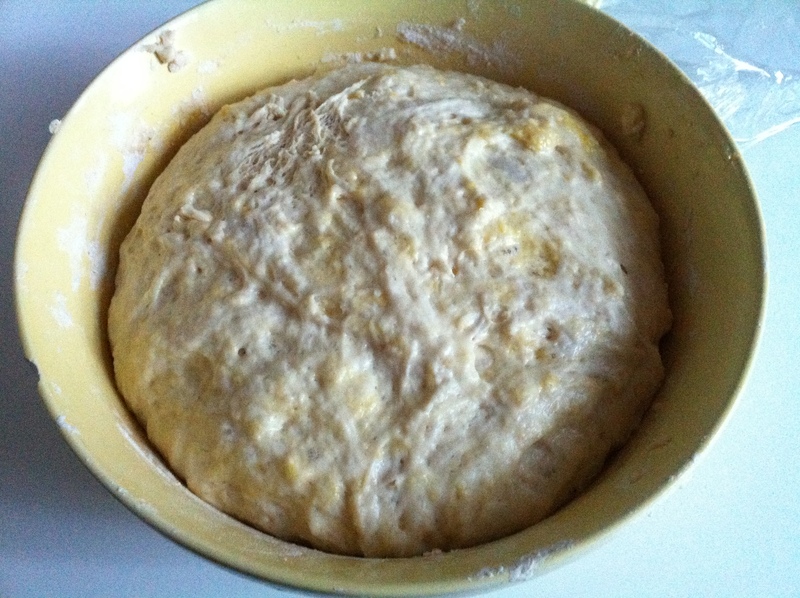 At this point I drizzle a little olive oil in the bowl and coat the dough for flavor and moisture. Some people add it directly to the dough with the water. I’ve done it this way too, but I use less oil this way. 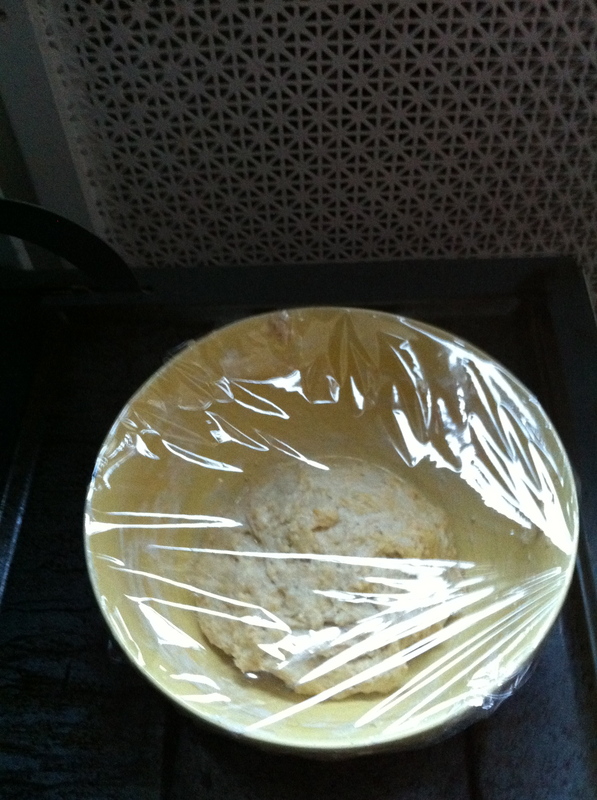 Cover with plastic wrap. I placed the bowl on my oven door so that the air from my heater was hitting it. My mom used to place it on a kitchen chair with a couple of winter coats on top. (This worked especially well in the summer when the AC was on.) 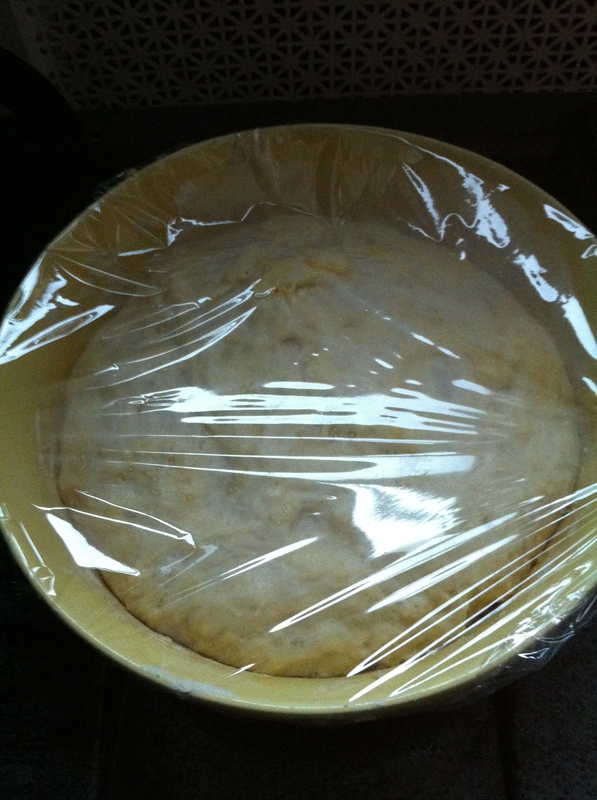 Basically you want the dough to be warm and relaxed so it can grow. After about an hour it should have doubled in size. Now comes the fun part! Punch or poke the dough to let the gases release. And now its time to bake! See how elasticy it is?! Remove from bowl and push out onto a baking sheet that has been rubbed with a olive oil. 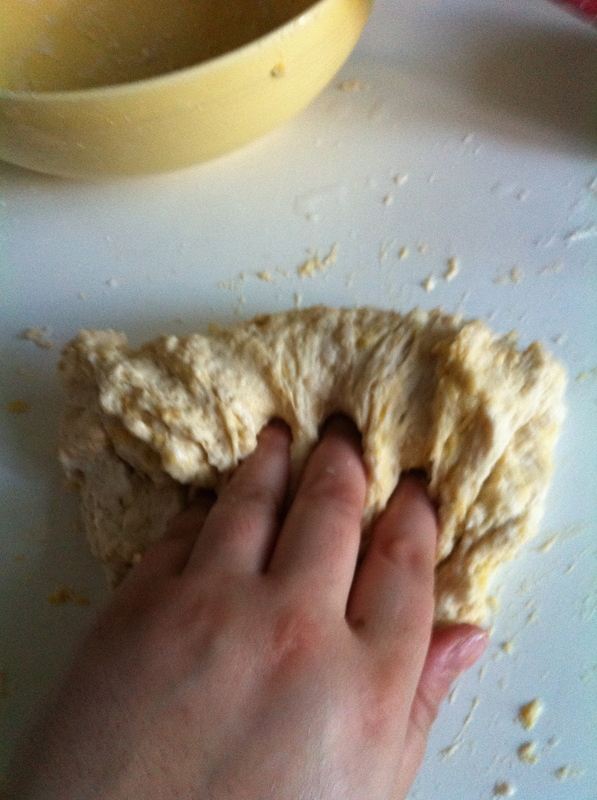 You can get creative and toss the dough but I pull and shake and turn until it stretches. 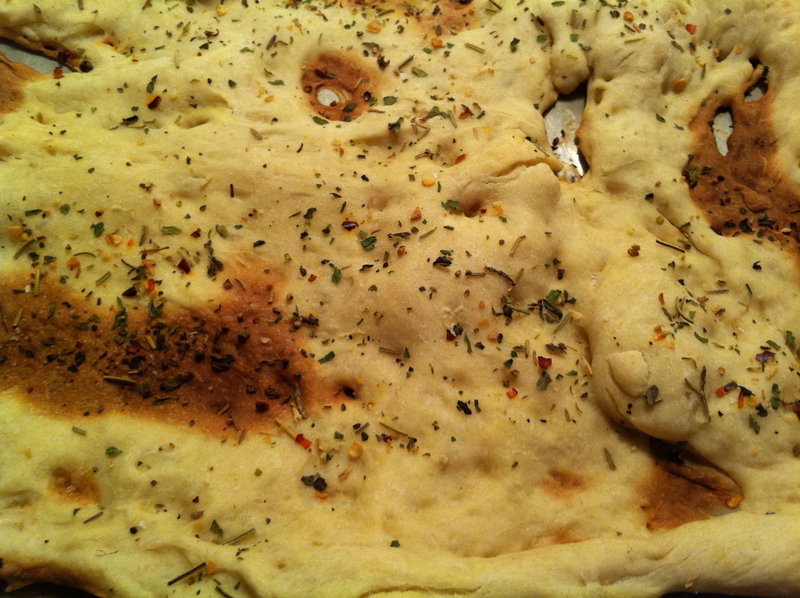 I made dimples in the dough, brushed the top with more olive oil so it falls into the holes and sprinkled with salt and herbs. Bake at 425° for 12-15 minutes until golden brown and delicious. I like mine crunchy and “well-done” You can take yours out closer to 12 minutes if you like a softer dough. Enjoy! Other ways to enjoy your dough. Stromboli– After you stretch out the dough, cover with a layer of pepperoni or ham and slices of mozzarella, Muenster or cheddar cheese and roll up. Snip a few slits in the top and bake until cooked through, about 20 minutes. Pizza-After you stretch the dough out on the pan, cover with a thin layer of your favorite pizza sauce, cheese, toppings and bake 12-15 minutes. If you like fresh basil add it after the pizza comes out of the oven so it doesn’t turn brown. Pizza Frite (Fried Dough, Zeppole)– A staple at Italian feasts, my mom and grandmom always made this at our Church’s Christmas Bazaar and as a treat for the grandkids on pizza night! 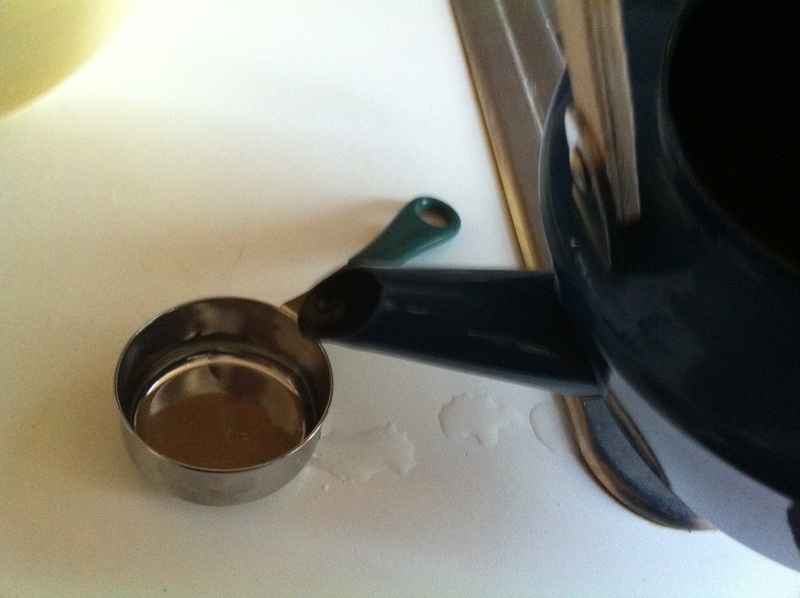 Heat a pot half full of vegetable oil, I’d say about 325°. To test I put the end of a wooden spoon into the pot and when bubbles start forming around the spoon right away, its ready. 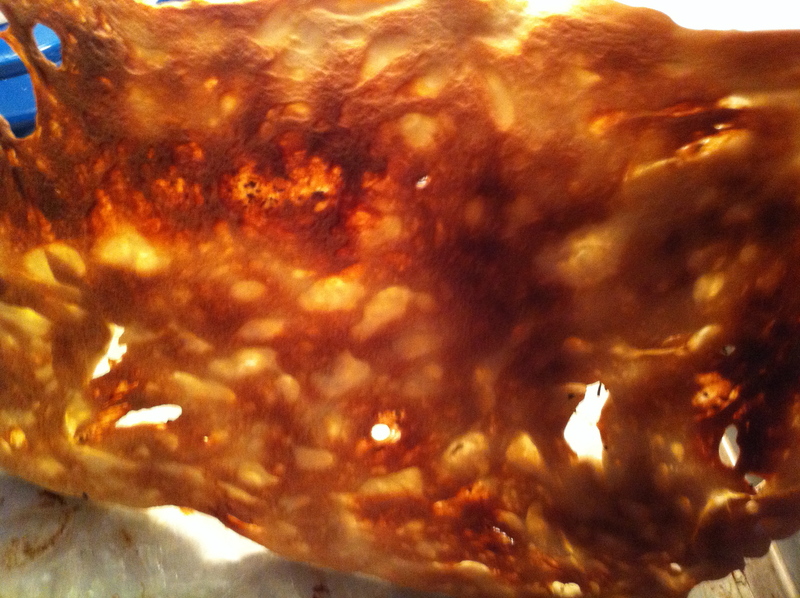 Make 6″ rounds of thin dough, fry until golden brown and fluffy. 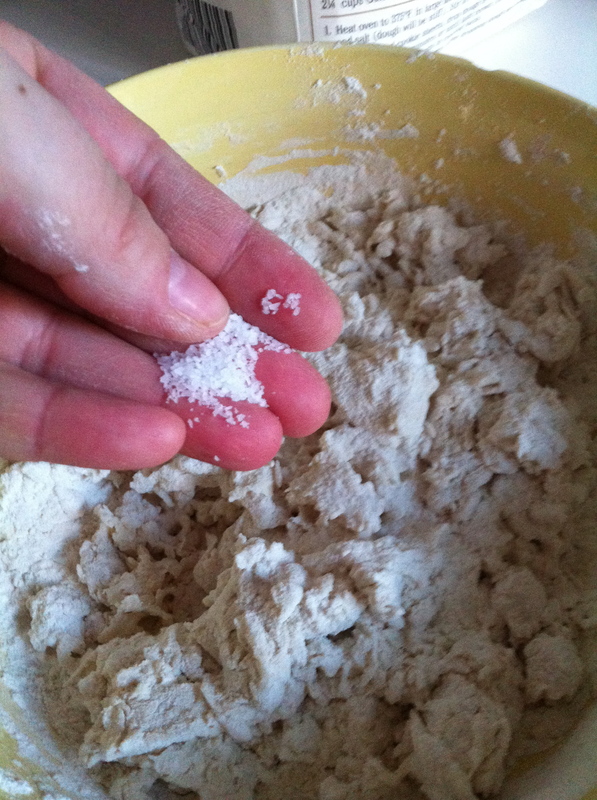 Top with powdered sugar, granulated sugar, cinnamon sugar, or salt and oregano for a savory bite. Did anyone get the title Simpson reference? Yay! Enjoy! Next Post Woop! Woop! CoupSmart! Hi, I know I love making it myself. It might be different with bread, not sure. Glad you like the post! yum!!! Krista that looks delish!!! I love baking my own bread for me and Martin. Its a great way to save money and use organic ingredients! 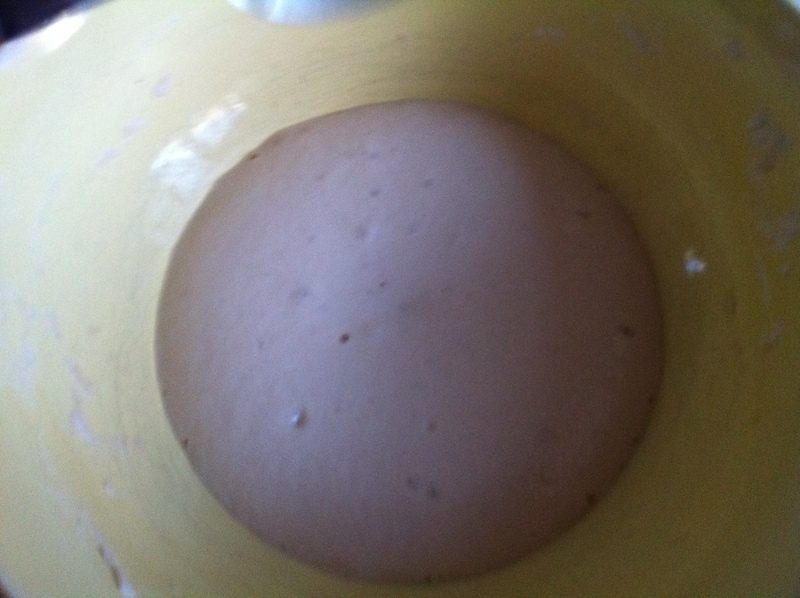 I didn’t realize I was supposed to mix the yeast though, I thought maybe just to let it sit, but now I’m going to mix it! 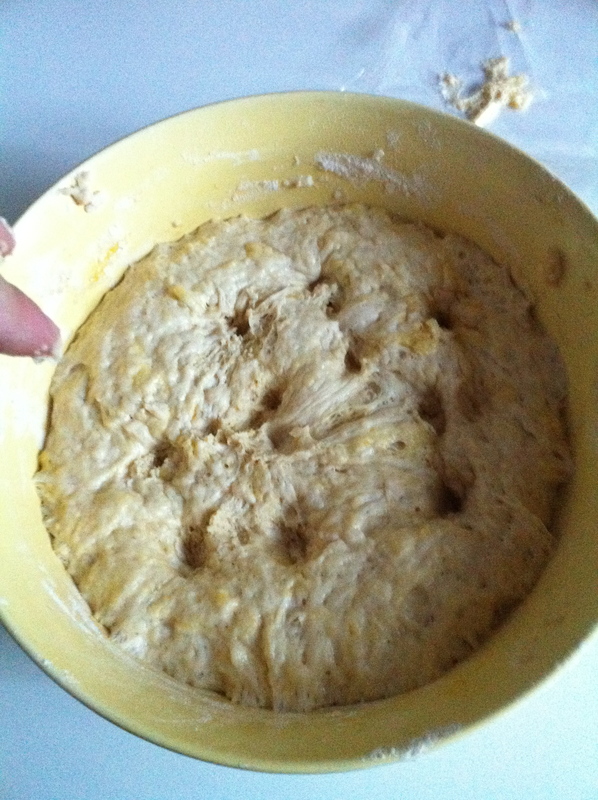 beautiful dough!